This article provides a background of Microsoft Azure RemoteApp. 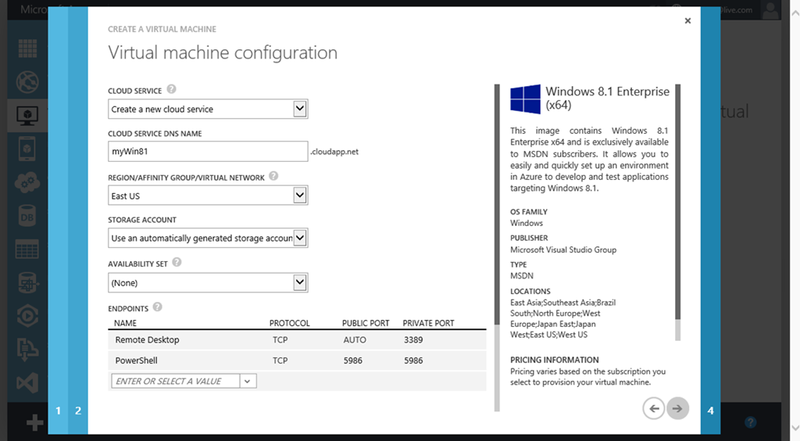 A walk-through on how to deploy RemoteApp as a stand-alone cloud service is also available. This is a combination of Remote Desktop and highly scalable Windows server-based applications hosted in Microsoft Azure. Company published applications are centrally managed and protected in Microsoft Azure. At the same time, employees can access authorized corporate applications from anywhere as if the applications are running locally on devices of their choices including Windows, Mac OS X, iOS, and Android. To try Azure RemoteApp, first acquire a Microsoft Azure subscription from http://aka.ms/R2 by selecting Windows Server 2012 R2 Datacenter on Microsoft Azure from the dropdown list to kick off a registration process. Today’s dynamic business environment and increasing user expectations demand always-on connectivity and accessibility to LOB applications with an individual’s preferred devices. The trend of BYOD signifies the business needs and personal work styles to be productive anytime anywhere with any device. Azure RemoteApp eliminates the physical aspects of an application infrastructure and converts a global application deployment into logical processes and operations carried out remotely on a proven and secure platform. It embraces IT industry’s BYOD initiative and realizes two key attributes, self-servicing and ubiquitous access, of cloud computing from a user’s point of view. With Azure RemoteApp, IT can scale and maintain applications very productively, and respond timely and even proactively to dynamic business needs without large capital requirements, without compromising security, without lowering user expectations. Branch offices with limited local IT support and limited network bandwidth. With Azure RemoteApp, a company has an opportunity to pursue a hybrid application deployment solution by integrating on-premises infrastructure and Remote Desktop Session Hosts. Or deploy Azure RemoteApp using pre-built application collections for a stand-alone cloud service, essentially Microsoft Azure hosts and stores all data for programs in cloud. There are also options for IT to authenticate a user with existing corporate credentials or a Microsoft Account. Azure RemoteApp presents a strategic, high-speed, and reliable vehicle for IT to transition on-premises application deployment into a corporate SaaS model in Microsoft Azure. Azure RemoteApp applications are neither sent to, nor stored on employee devices. Employees download and install Microsoft Remote Desktop clients on their Internet-connected devices like laptop, tablet, and phone to access applications via Microsoft Remote Desktop Protocol as if those applications were installing and running locally. The applications are centrally managed on Microsoft Azure, the same platform trusted and used by governments, financial services companies, and other large organizations dealing with sensitive information. Instead of being presented to the user in the desktop of the Remote Desktop Session Host (RD Session Host) server, the RemoteApp program is integrated with the client’s desktop. 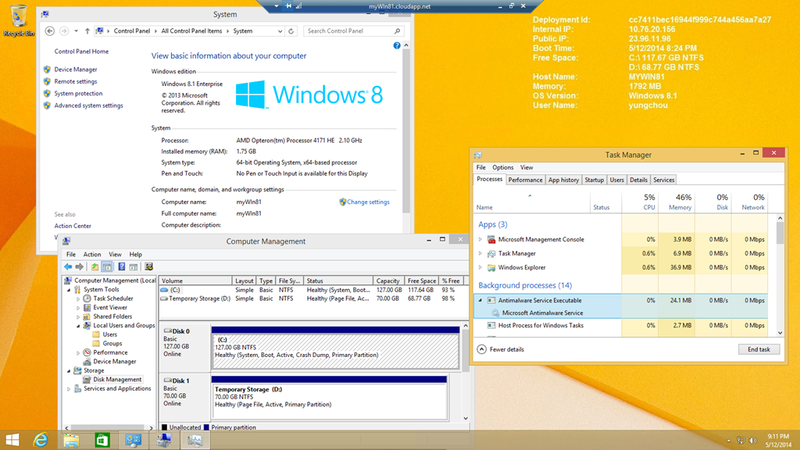 A RemoteApp program runs in its own resizable window, can be dragged between multiple monitors, and has its own entry in the taskbar. If a user is running more than one RemoteApp program on the same RD Session Host server, the RemoteApp program will share the same Remote Desktop Services session. One thing about cloud computing is that all deliveries must be right there and then. Instant gratification is essential in everything we do in cloud. And it is the same with assessing a new service like Azure RemoteApp. Go to this DIY Public Demos, experience it now, and realize that application deployment is never the same. In Part 2 of the series focused on Features On Demand for Windows Server 2012 R2, Yung Chou dives into DISM PowerShell Cmdlets to work on daily system administration tasks for our Features on Demand. Kicking off a new 4 part series focused on Features On Demand for Windows Server 2012 R2, Yung Chou, introduces us to the benefits of having a minimal server footprint from not only a total cost of ownership perspective but also from the standpoint of having increased flexibility in your server roles. 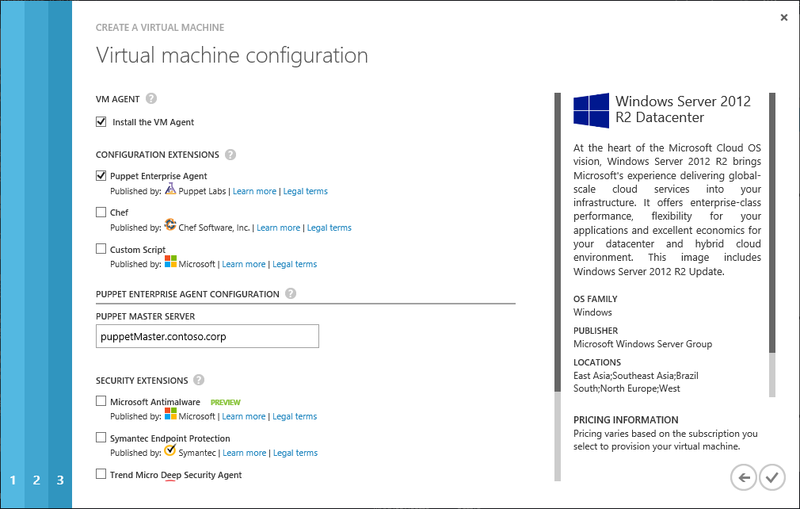 In Part 1 show how to enable Features On Demand through the Deployment Image Servicing and Management (DISM) Command Line Tool. Convention wisdom refers DevOps as a strategy, an approach, or a movement as some call it. DevOps addresses the idea that Development and Operations need to be aligned well in an application lifecycle, work closely and collaboratively to eliminate inefficiency, reduce bottlenecks, and maximize productivity. The concept is certainly not new, for decades business processes and operations based on software engineering concepts or lifecycle management methodologies are all trying to minimize inefficiency and maximize productivity. So what is different now. In cloud computing, infrastructure construction, run-time configuration, and application deployment are now delivered on demand, i.e. as a service, hence IaaS, PaaS, and SaaS. (1, 2) Form an operation’s point of view, cloud computing eliminates most, if not all, physical aspects of Dev and Ops. The physical establishments of Dev and Ops including servers, networks, and storage are now a lesser concern on application administration, maintenance, and costs since applications are based and operated upon logical artifacts like virtual machines, virtual networks, and virtual storage. From a user’s point of view, infrastructure support, run-time operations, and application maintenance are now all logical models where Dev and Ops can operate on a common, i.e. identical platform with standardized services from a cloud provider. This setting offers many opportunities to promote and to practice DevOps. With cloud computing, the integration of Dev and Ops becomes lucid and an achievable proposal both financially and administratively. DevOps is also an opportunity to further increase productivity, hence the ROI, of adopting cloud. I believe the inevitability to integrate Dev and Ops is quickly becoming apparent as IT continues to adopt cloud as a service delivery platform. Why to automate anything should be obvious. In addition to efficiency, there are also considerations on consistency, repeatability, and predictability to programmatically carry out tasks. Considering Dev and Ops, automation is an effective vehicle to minimal user interventions from both Dev and Ops for establishing application infrastructure, configuring run-time, and deploying a target application. This automation provides consistency and predictability of application deployment with transparency to both Dev and Ops. The theme is that DevOps calls for automation and automation sets DevOps in motion. Here, I highlight a few tools which can cultivate DevOps. Azure PowerShell Cmdlets and Cross-Platform Command Line Interface are for installing on individual devices, and with which each of us can take a DevOps approach and automate as much as applicable on our deliveries. Parallel processes, plan operations based on a logical unit of work, separate business logic from data, etc. and make automation a common work style. Azure Automation is a Microsoft’s solution for IT automation. For those have not had a chance to work on Microsoft System Center Orchestrator, this may possibly present a learn curve to some. Orchestrator as the name suggests is a powerful component in System Center to for automating and orchestrating a data center. You can consider it as a turbo DevOps engine leaning towards the Ops side. Visual Studio Lab Management on the other side is the ultimate DevOps operating environment facilitating entire application lifecycle management. Form departments, business units, organizations, to an entire enterprise, Visual Studio Lab Management can be scoped accordingly. This is the tool to manage Microsoft Azure with Windows PowerShell. For those who are new to PowerShell, relevant information is readily available in TechNet Library. To learn and assess Microsoft Azure cmdlets, one needs first acquiring a trial subscription, followed by downloading and installing Microsoft Azure PowerShell. Then, one must first configure a secure connection between an intended subscription and the Windows PowerShell environment in a local device. 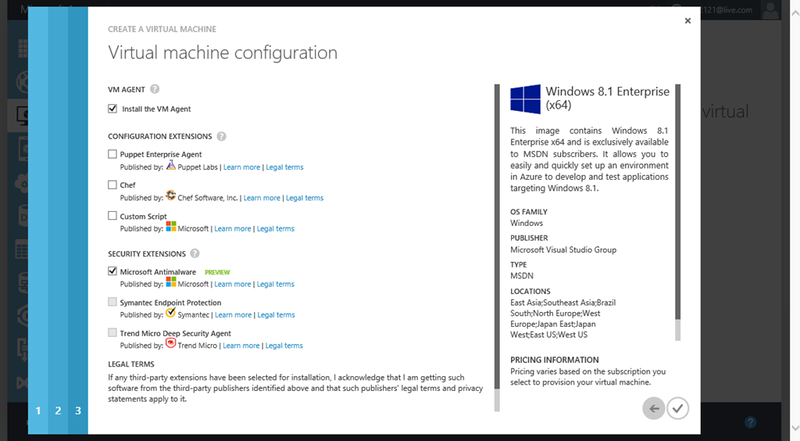 Instructions to Install and configure Windows Azure PowerShell are well documented. managing server roles and features, registry settings, processes, files and directories, local groups and user accounts, environment variables, etc. DSC is a vehicle to realize automation for predictability. Additional information of DSC is available elsewhere. Both Puppet and Chet offers technologies to automate deployments, configurations, and management of VMs across platforms. 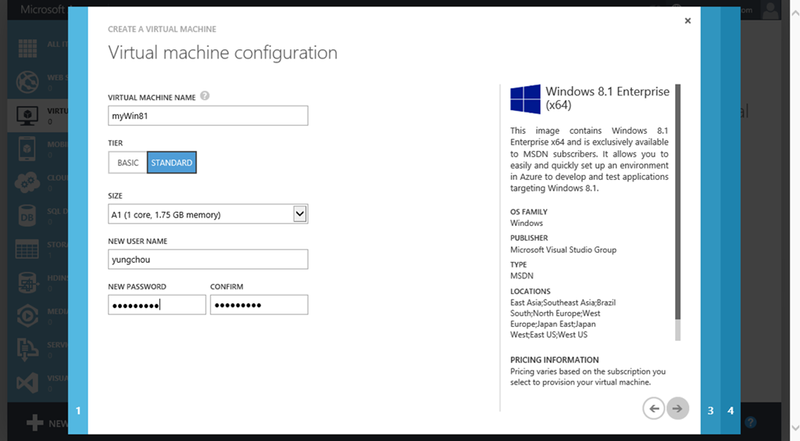 Microsoft Azure VM has both as configuration extensions as shown below. 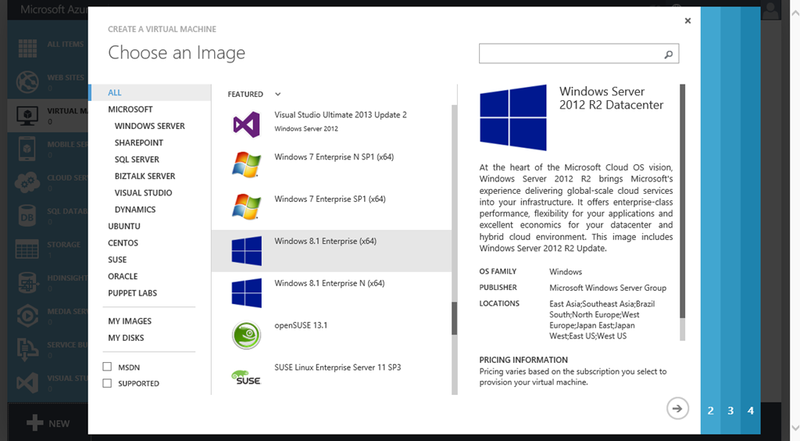 Microsoft Azure VM Image Gallery also includes a pre-configured Puppet Master based on Ubuntu Linux distribution. These additions offers vehicles to integrate with developed DevOps communities and practices, facilitate hybrid cloud adoption with automated deployment across platforms, and realize operating on Microsoft Azure is essentially a continual DevOps practice. This is an IT automation solution for Microsoft Azure by employing the concept of a runbook as employed in System Center Orchestrator. A runbook comprises activities which are the steps, i.e. instructions for an automated process, operations, and tasks. A runbook in Microsoft Azure is a Windows PowerShell workflow to automating the management and deployment of resources. Above all, an Azure runbook can automate essentially what a Microsoft Azure PowerShell and Windows PowerShell script can perform. To configure Azure Automation, one must first create an automation account which is a container for managing automation resources including runbooks, jobs, and assets. Each automation account is associated with an Azure subscription, and a subscription can have multiple automation accounts. 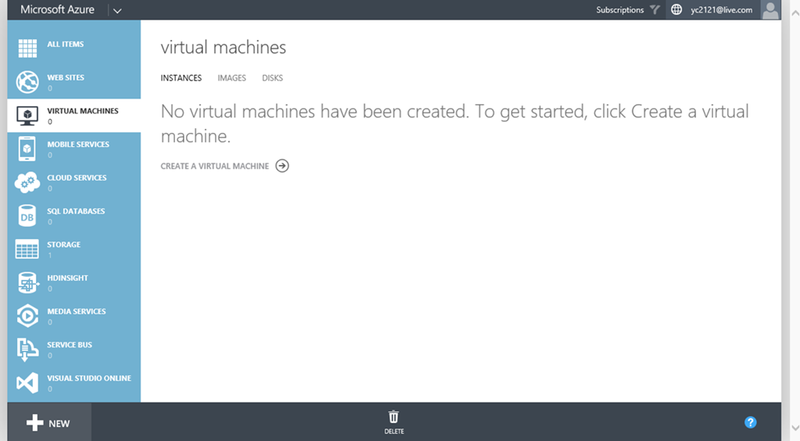 This feature is being previewed in Microsoft Azure at this time. Managing development, test, staging, user acceptance tests, demo environment, etc. are key part of application life cycle management. Visual Studio Lab Manager, a feature of Team Foundation Server (TFS), facilitates the management of existing and simplifies the process of provisioning of new environments for all team members. It can automate the routines of building, deploying, running tests on, and removing a lab environment. Here a lab environment is a collection of virtual and physical machines for developing and testing applications. A target lab environment, for instance, can now be automatically provisioned using templates with consistency and predictability, and as needed reverted to a specific point of time with snapshots. Visual Studio Lab Manager is raising application lifecycle management to a new standard. For developers, cloud computing has rejuvenated DevOps with a higher intensity and a bigger ambition. The integration and collaboration of Dev and Ops, from users’ point of view are now pertinent most at a logical level and above fabric, i.e. the virtualization layer. DevOps is no longer just a right idea, but now an approachable proposition with cloud computing both administratively and financially. Application lifecycle management environment like Visual Studio takes full advantages of System Center and Hyper-V and integrates Dev with Ops (System Center and Hyper-V) at an enterprise architecture level and with methodologies. The result of practicing DevOps will be timely, impactful, and rewarding. For IT professionals, DevOps signifies a call to action for data center automation with a comprehensive system management solution. DevOps is much more than just automation, nevertheless towards DevOps automation is an essential step. Above all, I view DevOps as an exciting prospect with a strategic roadmap for IT professionals like you and me to continue growing professionally, and explore career opportunities with DevOps or data center automation discipline in this cloud computing era. At TechEd 2014 North America, Microsoft has announced a large set of new innovations for IT Professionals & Enterprise developers to embrace a cloud culture in today’s mobile first, cloud first world. The following is a summary based on Brad Anderson’s keynote on May 5, 2014. I have highlighted my personal favorites. We are announcing the general availability of the ExpressRoute service. AT&T and Equinix customers are able to use the ExpressRoute service at Silicon Valley, Washington, and London ExpressRoute locations. We are excited to announce a new partnership with TelecityGroup and SingTel which will expand ExpressRoute’s reach in Europe and APAC, and a new partnership with Zadara, which allows Azure customers to use Zadara storage via ExpressRoute in the U.S. ExpressRoute creates private, high-throughput connections between Azure datacenters and your existing infrastructure, whether it’s on-premises or in a colocation environment. We are announcing the general availability of compute-intensive A8 and A9 instances for virtual machines. These instances provide faster processors, faster interconnectivity, more virtual cores for higher computing power, and larger amounts of memory. With these instances, customers can run compute-intensive and network-intensive applications such as high-performance cluster applications and applications that use modeling, simulation and analysis, and video encoding. We are announcing the public preview of Azure Files. 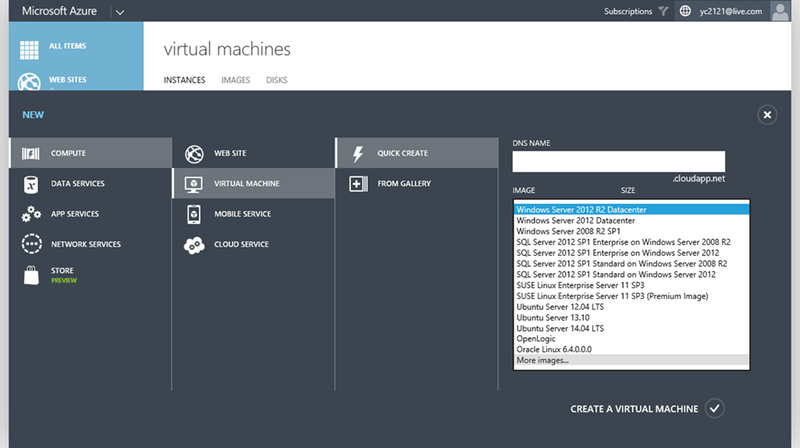 This new service enables virtual machines in an Azure datacenter to mount a shared file system using the SMB protocol. These VMs will then be able to access the file system using standard Windows file APIs (CreateFile, ReadFile, WriteFile, etc.). Many VMs (or platform-as-a-service roles) can attach to these file systems concurrently, so customers can share persistent data easily between various roles and instances. We are announcing the general availability of Azure Import/Export service. By using Azure Import/Export, customers can move large amounts of data into and out of Azure Blobs much faster than is possible by downloading data from the internet. Transporting data from hard drives to Azure is easy when using the Microsoft high-speed, security-enabled internal network to transfer the data to our datacenter. We are announcing the public preview of Microsoft Antimalware and partnerships with Trend Micro and Symantec. For Microsoft Antimalware, we are providing customers the choice on which anti-virus solution to use. One of those solutions is in partnership with Trend Micro. Specifically, deep integration for Trend’s Deep Security™ and SecureCloud™ products in the Azure platform. Additionally, Microsoft is also working to integrate PortalProtect™ with Azure. Another solution we are announcing is in partnership with Symantec. Symantec End Point Protection (SEP) is being supported on Azure. Through deep portal integration, customers have the ability to specify that they intend to use SEP within a VM. We are announcing the public preview of Internal Load Balancing. 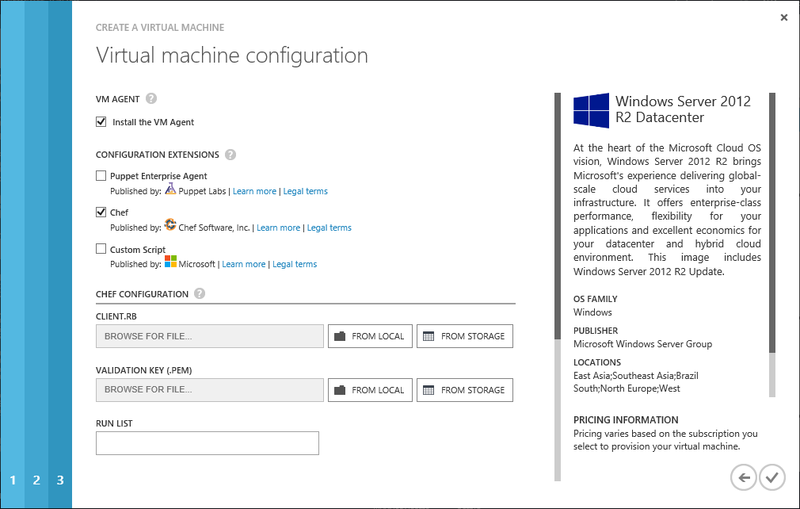 This new service provides the ability to load balance Azure virtual machines with private IP addresses. The internally load balanced endpoint will be accessible only within a virtual network (if the VM is within a virtual network) or within a cloud service (if the VM isn’t within a virtual network). Internal Load Balancing is available in the standard tier of VMs at no additional cost. We are announcing general availability of the two most requested virtual networking features: multiple site-to-site VPN and VNET-to-VNET connectivity. Virtual Network now supports more than one site-to-site VPN connection so customers can securely connect multiple on-premises locations with a virtual network (VNET) in Azure. VNET-to-VNET connectivity enables multiple virtual networks to be directly and securely connected with one another. We are enabling both cross-region VNET-to-VNET and in-region VNET-to-VNET connectivity. We are announcing the IP Reservation for VIPs and public preview of Instance-level public IPs for virtual machines. For IP reservation, customers can now reserve public IP addresses and use them as virtual IP (VIP) addresses for their applications. This enables scenarios where applications need to have static public IP addresses or where applications need to be updated by swapping the reserved IP addresses. During preview, customers can obtain two public IP addresses per subscription at no additional charge. With Instance-level Public IPs for VMs, customers can now assign public IP addresses to their virtual machines, so they become directly addressable without having to map an endpoint. This feature will enable scenarios like running FTP servers in Azure and monitoring virtual machines directly using their IPs. We are announcing new capabilities for Azure Hyper-V Recovery Manager that will be in public preview next month. Today, Windows Azure Hyper-V Recovery Manager provides a disaster recovery solution for customers which helps protect the availability of System Center private clouds. 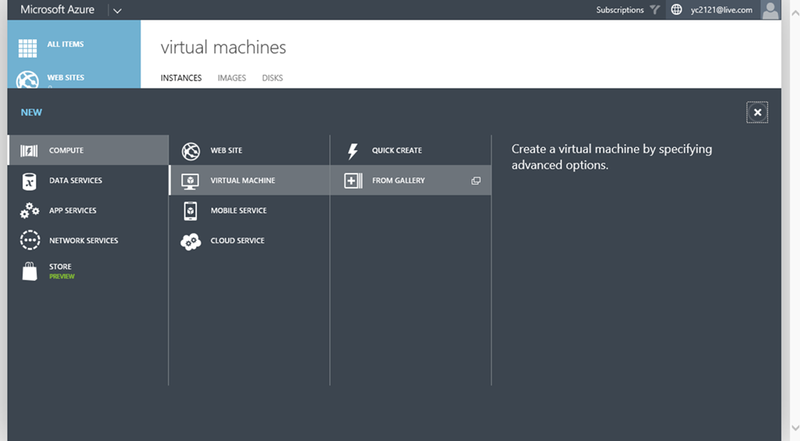 In June a public preview of new features will enable customers to replicate virtual machines from their primary site directly to Azure, instead of a second customer site. To better reflect the service’s new, broader capabilities we will be renaming it Microsoft Azure Site Recovery in conjunction with the release of this preview. Updated resources, including an Academy Live, will be available in June at time of public preview. We are announcing the public preview of Azure RemoteApp: a new service delivering remote applications from the Azure cloud. With Azure RemoteApp, business applications run on Windows Server in the Azure cloud where they’re easier to scale and update. 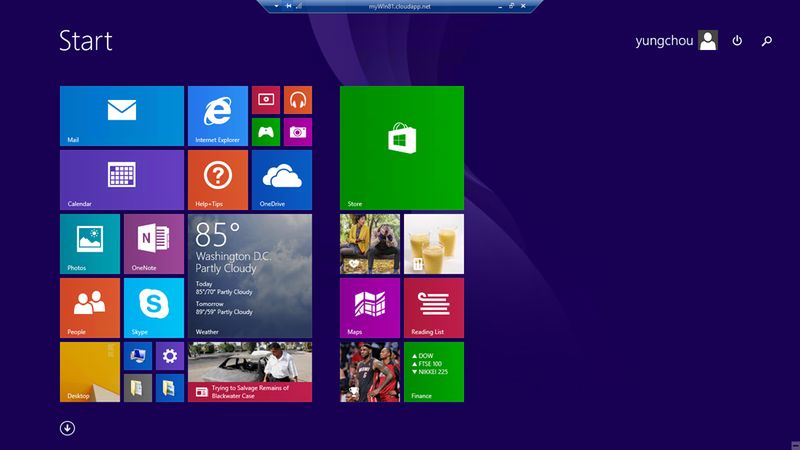 Employees install Microsoft Remote Desktop clients on their Internet-connected laptop, tablet, or phone—and can then access applications as if they were running locally. Centralize and protect corporate applications on Azure’s reliable platform. We have announced the public preview of more enhancements and capabilities in Azure Active Directory Premium. The public preview of these additional enhancements to the service include a new version of the DirSync tool, a new synchronization engine (Azure AD Sync), and Multi-Factor Authentication IP whitelisting allowing companies to specify IP addresses from which MFA is not required. We also announced the public preview of Azure AD Cloud App Discovery feature that provides IT departments with visibility into all the cloud apps used within their organization. Future investments for Windows Intune are in the areas of managed productivity, including the ability to apply data management and protection policies to an upcoming release of Office mobile apps, and corporate-owned mobile device management. We are announcing the public preview of Azure API Management. This new service enables organizations to publish APIs to developers, partners and employees securely and at scale. Organizations can use API Management to monetize its core product, transform its product into a platform and create new content distribution channels. First, Azure Managed Cache service is moving from public preview to general availability. Second, Azure Redis Cache service is available in public preview. Azure Redis Cache is based on the popular open source Redis Cache. A cache created using Redis Cache is accessible from any application within Azure. And, lastly, as previously announced, Azure Shared Caching Service will be retired in September 2014 and with it the Microsoft’s Silverlight-based portal. Because the Azure Cache Service is in general availability, we strongly encourage customers to migrate all existing caches on Shared Caching to the new Azure Managed Cache Service. We are announcing the general availability of Azure Traffic Manager, which supports both Azure endpoints and external endpoints. Traffic Manager enables customers to control the distribution of user traffic to specified endpoints. With support for endpoints that can reside outside of Azure, customers can now build highly available applications across Azure and on-premises. In addition, intelligent traffic management policies can be applied across all managed endpoints. We are announcing the public preview of BizTalk Hybrid Connections. This new Azure service enables cloud services to more securely, quickly, and easily integrate Azure cloud solutions with on-premises applications. With no custom code required, Hybrid Connections enables customers to connect to any on-premises TCP or HTTP resource—such as Microsoft SQL Server, MySQL, or any web service—from Azure Web Sites. We are announcing the release of BizTalk Server 2013 R2. For over a decade, Microsoft customers and partners have deployed thousands of mission-critical integration solutions using BizTalk. This release enables customers to upgrade now with confidence by delivering improvements in performance, reliability, and functionality. Biz Talk Server 2013 R2 allows customers to take advantage of the latest integration platform capabilities from Microsoft and accelerate solutions for vertical industries including healthcare and financial services. We are announcing the RTM of Visual Studio 2013 Update 2. With over 5 Million downloads of Visual Studio 2013 to date, today we delivered on our promise of enabling developers to create universal Windows apps for Windows 8.1 and Windows Phone 8.1 from one single project in Visual Studio. We are sharing an early preview of the next version of ASP.NET vNext, a streamlined framework and runtime that is optimized for cloud and server workloads. It allows ASP.NET developers to leverage their existing skills and create applications with automatic cloud support built-in. These components of ASP.NET will be part of the .NET Foundation as an open source project and will run across multiple platforms through a partnership with Xamarin. We are announcing the public preview of Visual Studio Online APIs. This a set of APIs and service hooks that extends Visual Studio Online and provides integration points to 3rd party services. This makes it easier for organizations to adopt Visual Studio Online without abandoning the tools they’re using today, and for developers to build apps on any platform that can consume Visual Studio Online services. 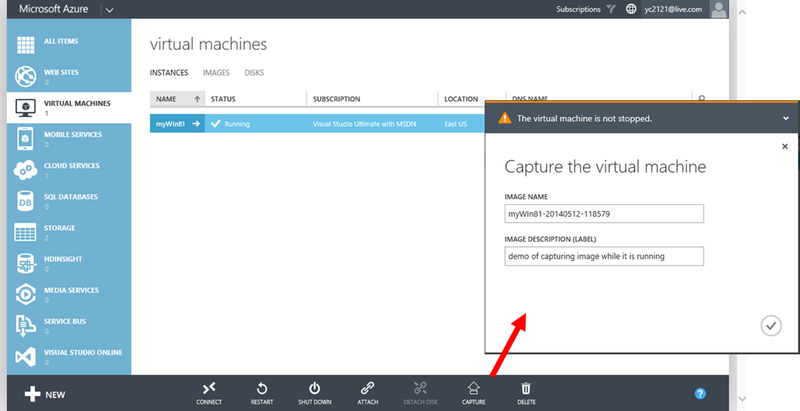 We are announcing that virtual machine images for Windows 7 and Windows 8.1 are now available in the Azure virtual machine gallery for MSDN subscribers. This means that you now have the flexibility to utilize an on-demand dev/test environment for client-targeted apps, leveraging the elasticity and scale of Microsoft Azure. In the next update of Release Management for Visual Studio, customers will be able to directly leverage PowerShell Desired State Configuration (DSC) scripts to configure and manage Windows based environments through Release Management. This extended capability of Release Management will allow customers to manage both on-premises and cloud based infrastructure as part of an application deployment. This capability places Microsoft ahead of Puppet and Chef for configuring and managing both on-premises and cloud based environments as part of an application deployment. Microsoft has partnered with OpsHub to deliver the OpsHub TFS to Visual Studio Online Migration Utility. This utility is a free offering provided by OpsHub that supports the one-time, one-way migration of on-premises Team Foundation Server data into Visual Studio Online. The goal of the OpsHub TFS to Visual Studio Online Migration Utility is to provide a straightforward migration path from an on-premises Team Foundation Server environment to the Visual Studio Online environment minimizing or eliminating the need for any consulting support.